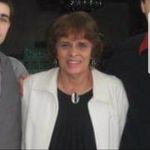 Catherine Ponte, 75, of North Charleston, SC, died Wednesday, January 30, 2019. 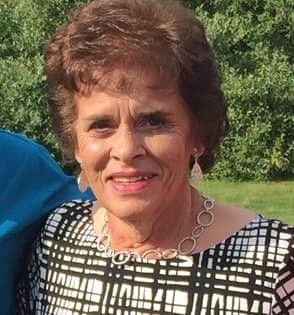 Her memorial service will be held Sunday, February 3, 2019 in the J. Henry Stuhr, Inc., Northwoods Chapel, 2180 Greenridge Road. The family will receive friends Sunday at 1:00 pm and a service will immediately follow at 2:00 pm. A service will also be held in Dartmouth, MA at a later date. Catherine was born March 27, 1943 in New Bedford, MA, daughter of the late Cezar Cunha Bettencourt and the late Mary Jo Rodrigues Bettencourt. Cathy loved laughter, telling stories and being surrounded by her family. Her unique personality and loving nature will forever live on. She is survived by two sons, George Ponte III of Ladson, SC and Scott A. (Robyn) Ponte of New Bedford, MA; three daughters: Laurie A. Ponte of New Bedford, MA, Tammy L. (Paul) Demarais of Spring Hill, FL, Kaylin M. (James) Horvath of Summerville, SC; five brothers: Cezar Bettencourt, Mike Bettencourt, Kenny Bettencourt, Steve Bettencourt, Ronnie Bettencourt; five sisters: Joan Smith, Betty Jeffrey, Linda Andrews, Susan Price, Mari Jo Medeiros; twelve grandchildren and ten great-grandchildren. She was predeceased by her brother and sister, Randy Bettencourt and Joyce Bettencourt. I had the pleasure to work with Cathy and hear her wonderful stories about her family and life experiences. She was a wonderful woman who will be missed greatly. Sending thoughts and prayers to her friends and family. I am so glad I got to know "Moma Cathy" during my visits to N Charleston. She was a wonderful, witty lady and will be missed by all. Sending love and prayers to her family. May God bless this special lady! I'm still so shocked over this...Kenny and I can not attend this service but we will do our best to return home at the later planned one..Flights are through the roof due to Super Bowl..and the drive is just to much on us both..Know that you are all in our thoughts and prayers..We love you all..
We are so sorry to hear about the passing of Cathy. She was a good person with a witty personality. Our family will be forever grateful for the kindness and help she gave to us after the loss of our mother and brothers. We will miss her dearly. Our prayers are with you. I am so sorry for the loss of your loved one. I will have your family in my prayers over the coming days. I will miss chatting with Cathy when I visit my cousin Cathy. So blessed to have gotten to know her! You all are in my thoughts/prayers! 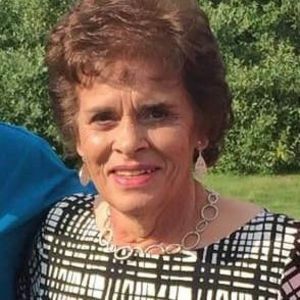 Life Stories provides friends and families a forum to post their favorite stories and memories of Catherine Ann Ponte ensuring the precious experiences are never forgotten. Share joyful times, post a photo that captures the moments you cherish, and allow others to reply, relive and remember.